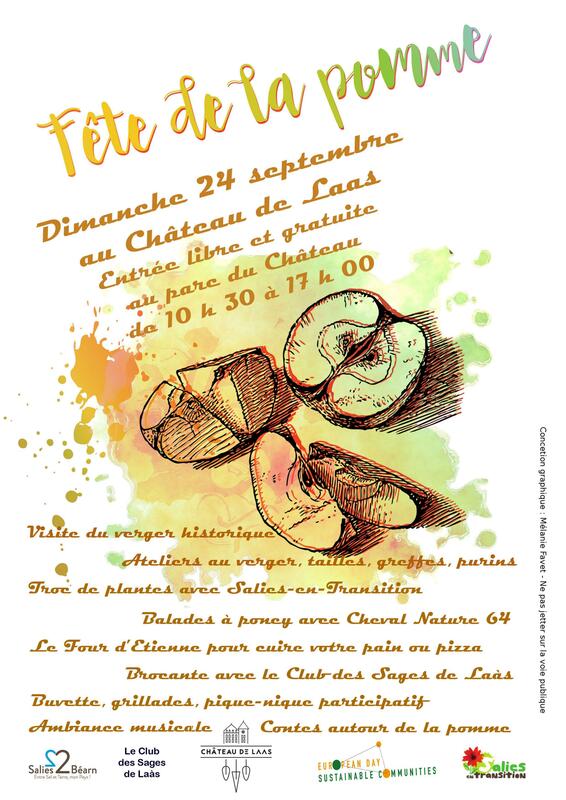 Avec plusieurs acteurs et association Salies en Transition organisera le 3e fête de la pomme à Château de Laàs. We organise with our partners a second hand market, a huge pickpique ‘auberge espagnol’ meaning that the food will be shared between the participants, several workshops – Making a fertilizer from nettles, How to plant a tree, How to select the old varieties of apples. We will be collecting apples from the 1.5 ha orchard for making apple juice. A mobile baker will make bread and pizzas from organic (local) flour. Music and attractions for children, riding poney and story telling.